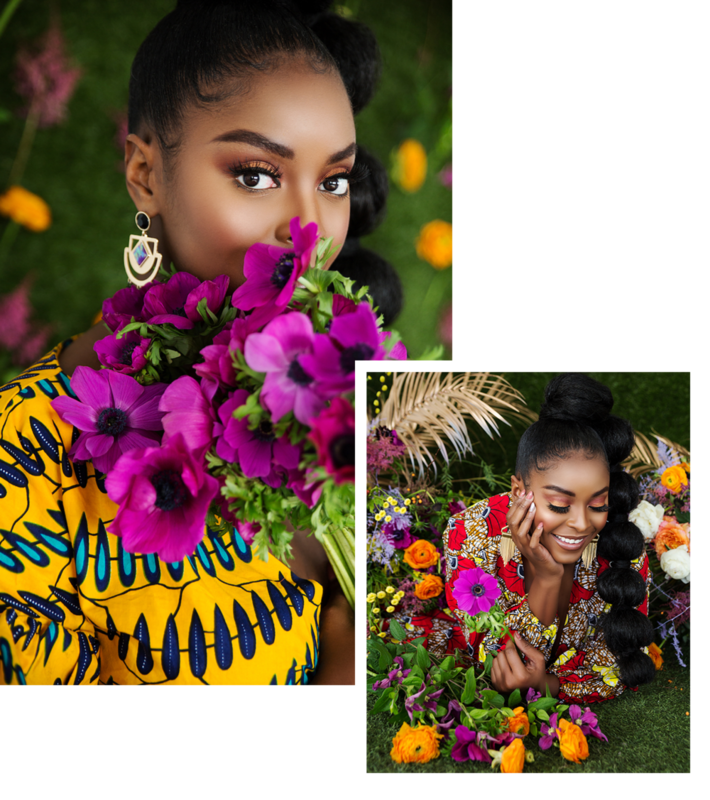 ToboreOweh.com is a lifestyle blog and brand that highlights beauty, style and everyday living…and learning…through the healing powers of flowers. I created this space to inspire women to look and feel their best, live intentionally, and build a tribe and community. Fall In Love With Florals. Since trusting my intuition, I have partnered with notable brands like Coca-Cola, Babies-R-Us, KISS USA, Anastasia Beverly Hills and Budweiser. It wasn’t until partnering with Sally Hansen for the “I Care for Me” social campaign that I realized the driving force behind my brand; floral design as an act of self-care & love, celebration, and building community. Vibrant Colors. Bold Prints. A Sprinkle of Glam. Originally from Lagos, Nigeria, I was born to two creative and entrepreneurial parents; a father who contributed to the evolution of Afrobeat music and a mother who named her dental clinic after her only daughter. Although relocating to America at an early age, my deep-rooted love for my culture and background kept me grounded as my passion for design evolved. I remember telling myself for years that I would move to LA one day. Never actually acting on it, but it was something I always dreamt about and kept at the back of my mind. That faint voice I would often brush off over the simple fact that I was comfortable. Not quite satisfied…but used to the “normal” flow of things.